A 26 minute film and interactive media project. 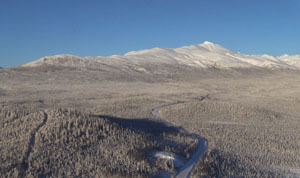 The Dempster (Joe Henry) Highway is the only road in Canada that crosses the Arctic Circle. It is the meeting of a man made entity and some of the most isolated landscapes on the planet. who was instrumental in the construction of the highway that passes through their traditional lands. flora and fauna that inhabit the lands that the highway traverses. Featuring music by Peter Cox, The Han Singers and George McConkey.